If you have reduced eyesight, everyday activities which others may take for granted can prove difficult. This includes fiddly tasks like knowing which buttons to press on the television remote. 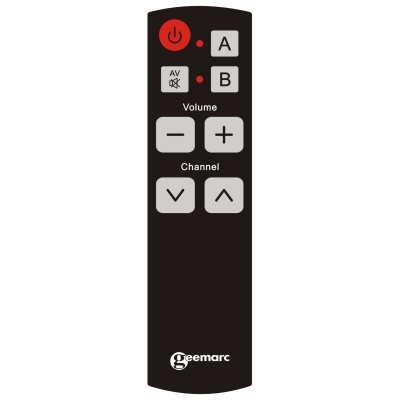 The Geemarc Easy TV5 TV Remote for the Visually Impaired provides a solution to this, featuring large, programmable buttons and designed to be as easy to use as possible for those with reduced eyesight. Working with any television, every button on the remote can be programmed to do exactly what you need them to, so your reduced sight doesn't have to hold you back from controlling your TV. Unlike most universal television remotes, the Geemarc Easy TV5 TV Remote lets you program every button – even the power button – allowing you to change their function to suit your needs.